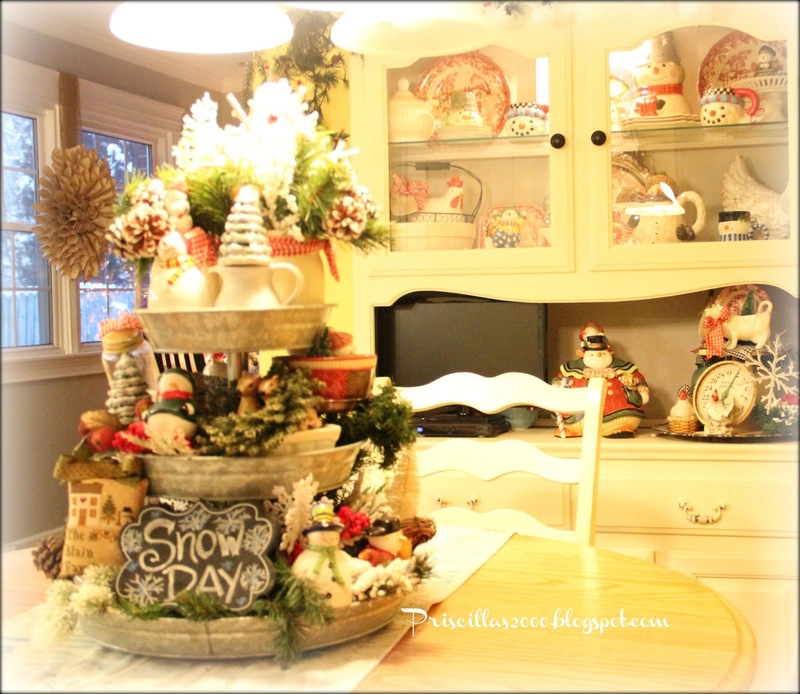 Last winter the tray was filled with snowmen and trees,,snowflakes and greenery.. 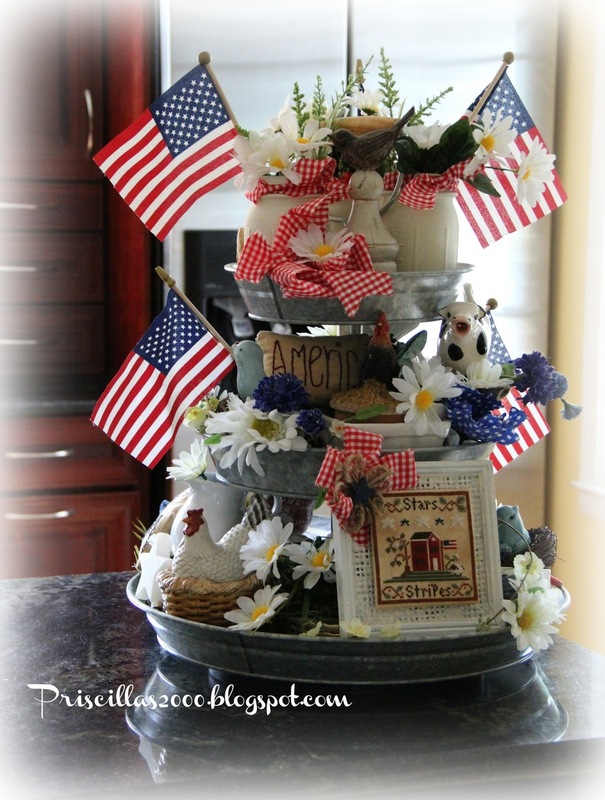 In the spring ..eggs, chickens and tulips filled the tray ..
From Memorial Day through July ..lots of flags and red, white and blue .. 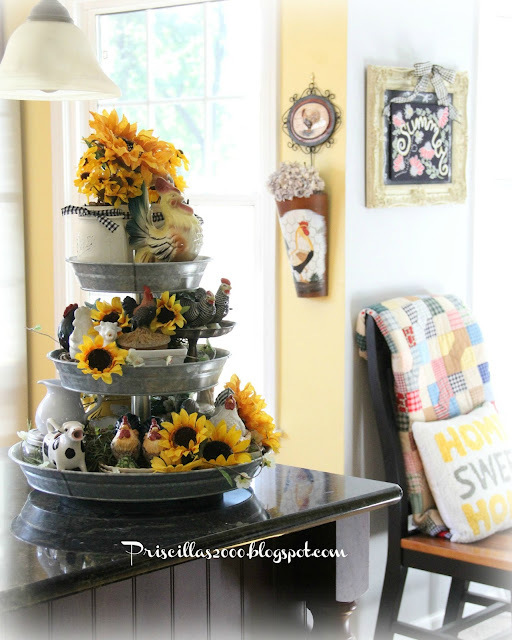 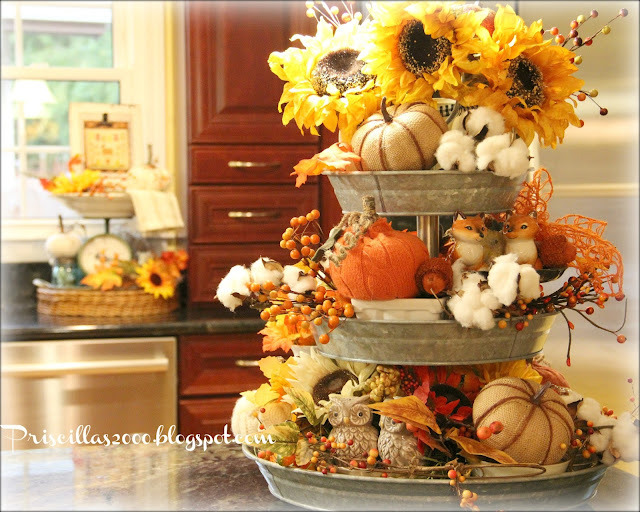 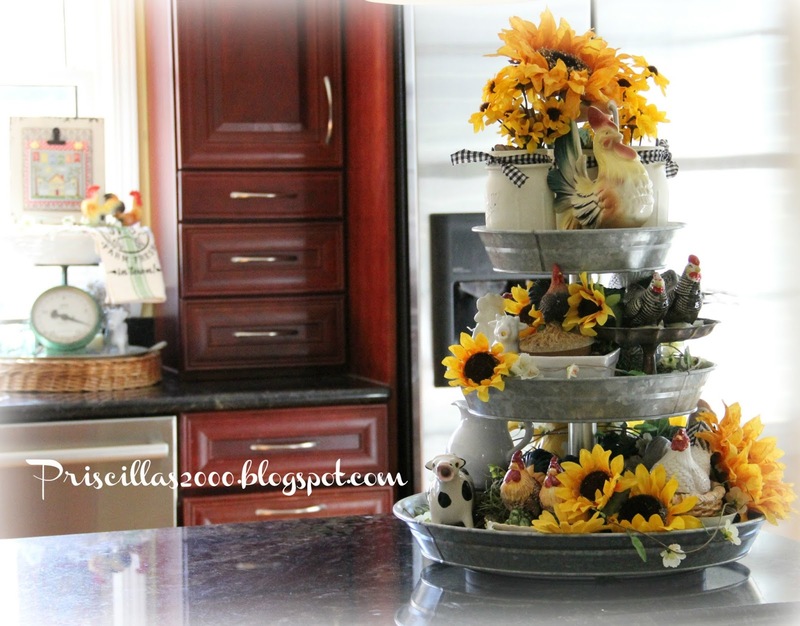 The Fall tray was filled with big sunflowers.. pumpkins, faux cotton and fall berries.. 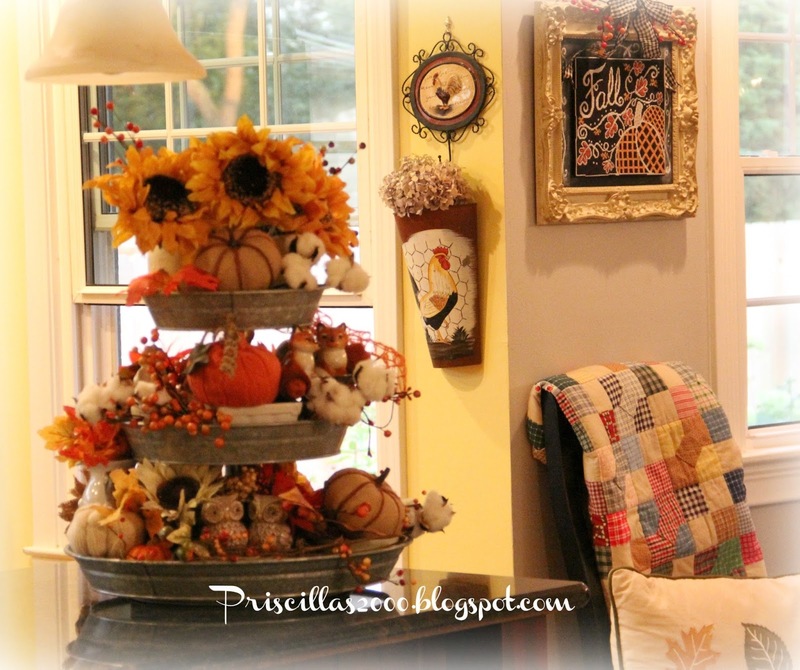 Cute fox and owl salt and pepper shakers too! 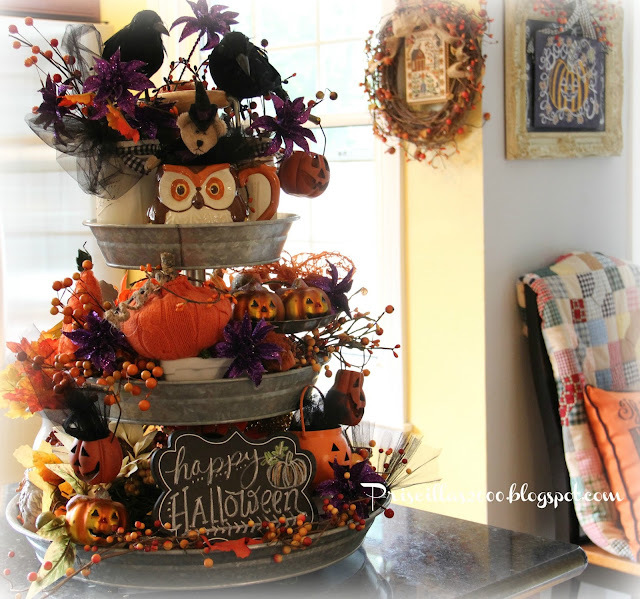 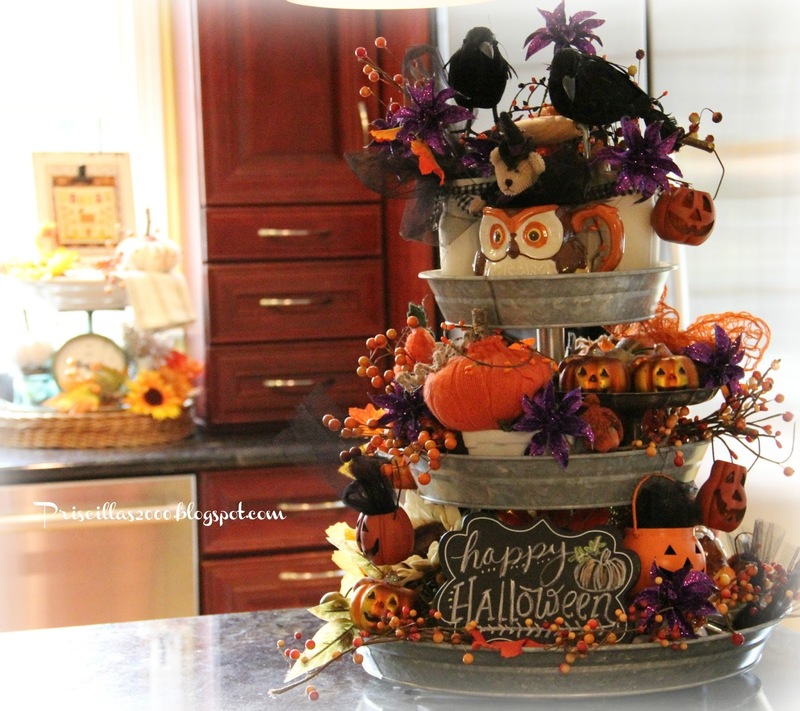 Halloween brings out the crows..jack o lanterns and owls.. 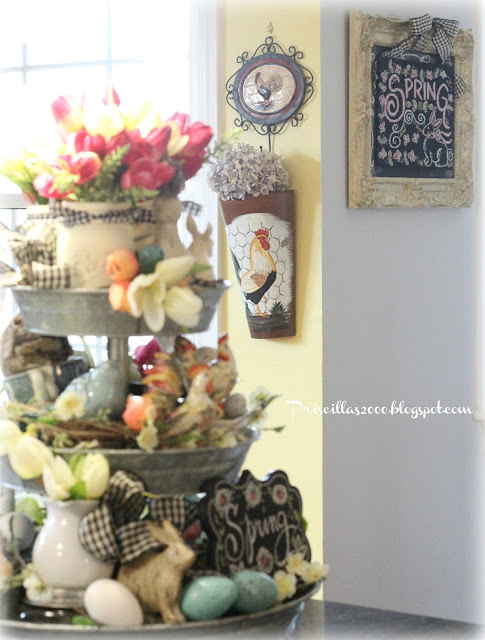 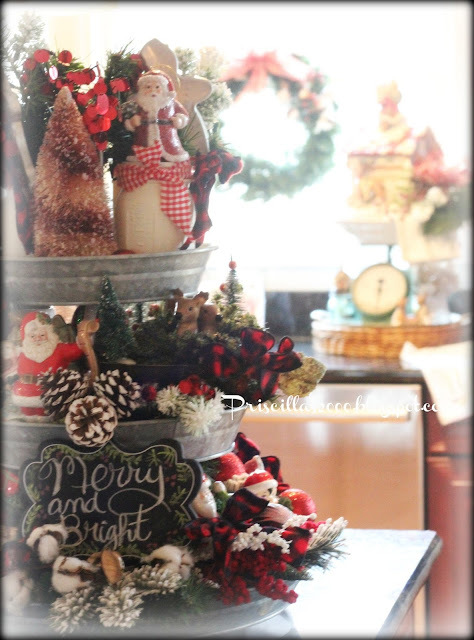 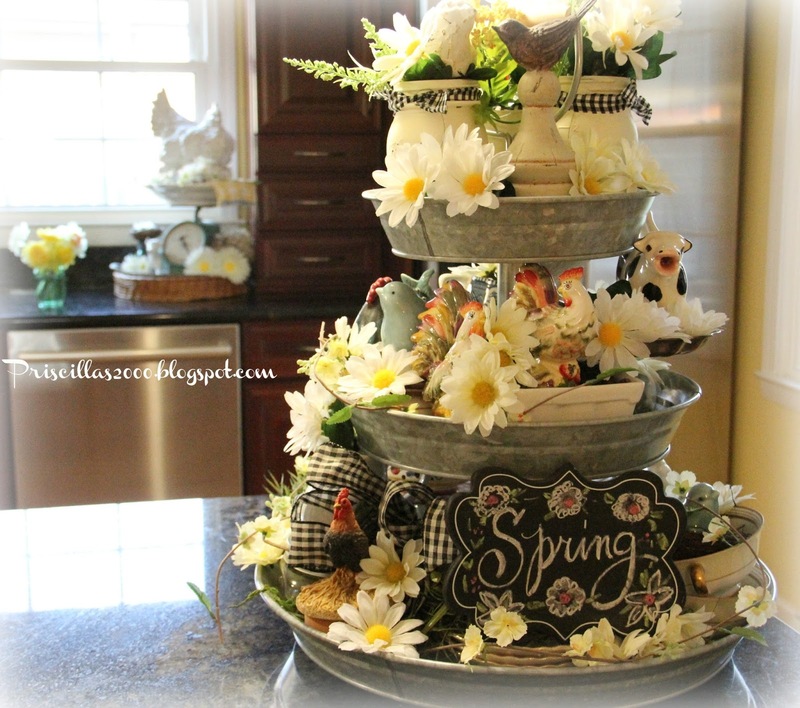 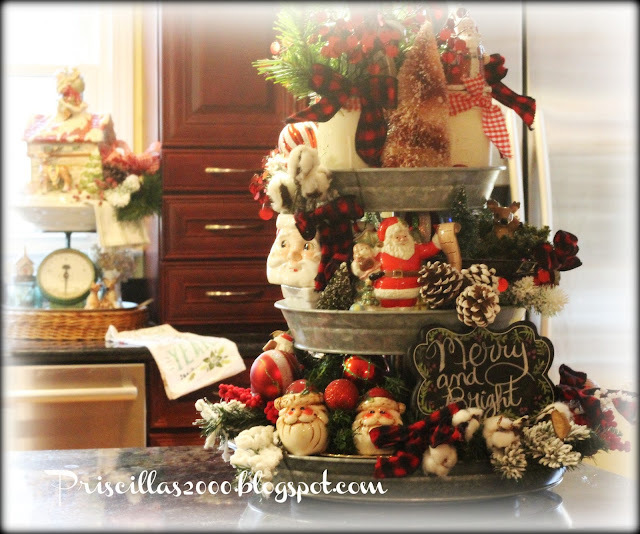 The tray is one of my favorite things to decorate each season!If you would like to see what I am up to everyday join me on Instagram and my Facebook page ! 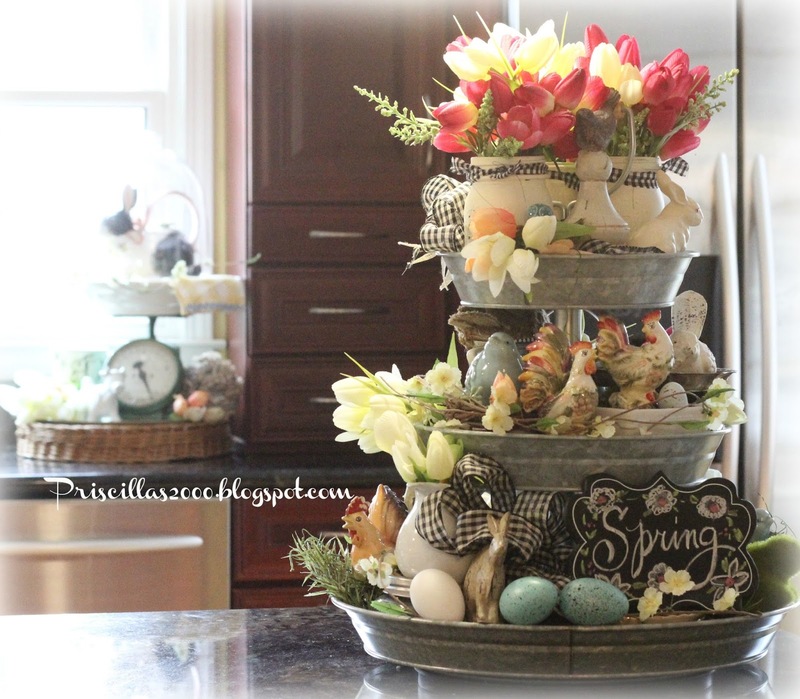 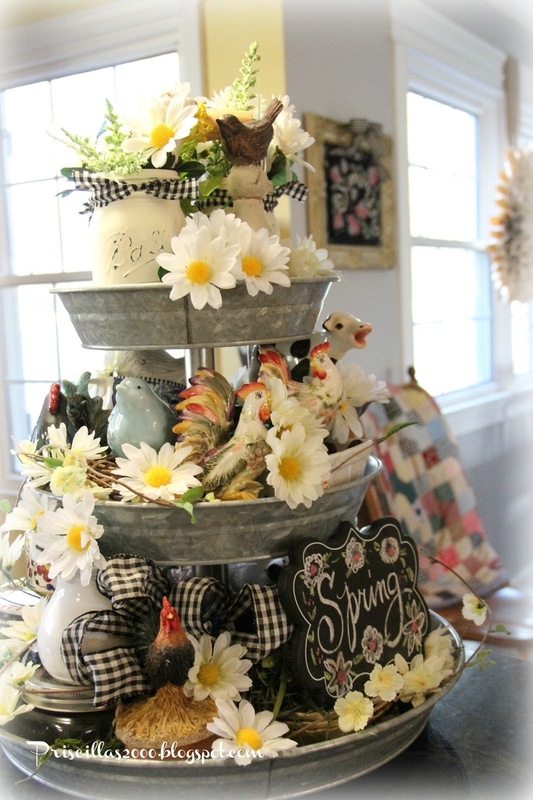 I love how you decorate the tier trays, full of seasonal abundance, so cute!